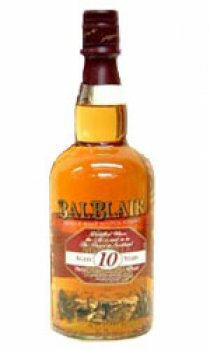 To compliment the Balblair Elements and 16 Year Old, Inver House have introduced a 10 Year Old to the range. From the Dornoch Firth, an area recognised for the production of some of Scotland's finest whiskies, Balblair represents one of the oldest names in Scottish distilling. Retaining all the brand elements, the 10 year old is presented in an elegant tube with a strong use of burgundy and gold giving it good shelf presence. It is a classic highland malt, delightfully light and smooth with a light to medium body.